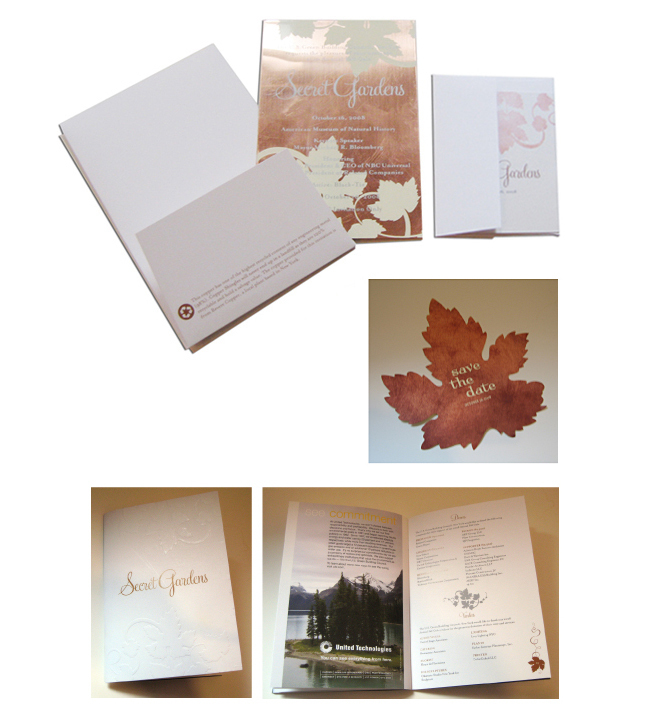 Branding and design for annual gala print materials. Invites were made of recycled salvaged copper roof tiles. Accompanying booklets, tickets, etc. were printed on 100% post consumer waste paper.